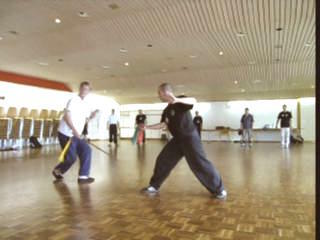 Unlike with a saber which you may use to block or deflect, you do not clash your dainty sword with an opponent's weapon. Hence, it is of utmost importance that you have agile footwork and correct spacing to avoid the opponent's attacks. Never, for example, go directly into the momentum of your opponent. 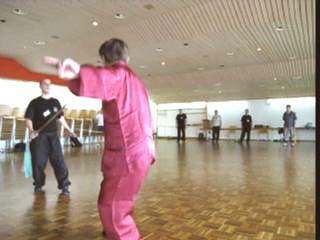 Flowing with Opponent's Momentum in Using a Sword from Wong Kiew Kit on Vimeo.